A congregational community is an ideal place to share and strengthen faith, form lasting relationships, and develop special gifts and talents. Too often, though, people with developmental and other disabilities lack the opportunities and supports to fully participate in the life of their faith community. Thats why families and service providers need to read this groundbreaking guidebook—and share a copy with congregations that want to become places of welcome and belonging for people with disabilities. "Sure to be a treasured resource for members of faith communitiesA foundational resource that will help faith communities broaden their mission to include people with disabilities." "Addresses the magnitude of the problem that exists in people's attitudes about disabilities, whether they are well-intentioned or not." 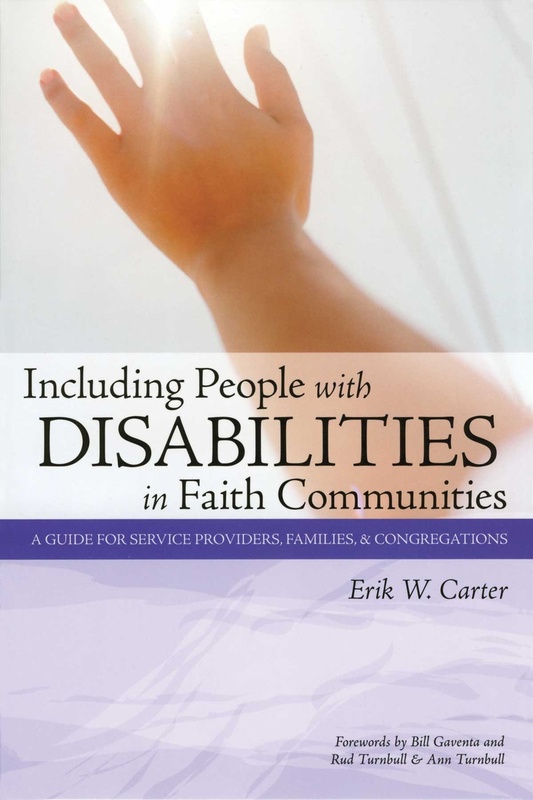 "A valuable addition to two major fields of study--theological support of faith communities and special education....A must-read for the faith community who plans to do outreach to persons with disabilities as well as those without." "Delightfully interesting.The principles and guidelines that form the heart of this book will be relevant for many years to come." "A very practical book . . . an example of the integrity of a comprehensive congregation ministry, and [a] guide for improving the attitude of hospitality in any faith community." "Practical, with examples of successful efforts and detailed questionnaires to uncover barriers." "Covers a variety of aspects of integration of the individual into the community, including useful checklists, and suggests was that people with a wide range of disabilities can be welcomed and included in religious programming, as well as in religious educational settings." "A comprehensive guide enabling congregations to be truly welcoming communities for all people . . . I heartily recommend this as a 'first choice' resource for seminaries, clergy, churches, and service providers." "A foundational resource . . . will help faith communities broaden their mission to include people with disabilities, and will provide answers that state agency workers have been seeking." "Eloquent and wise . . . will be a treasured resource for members of faith communities who care about welcoming and using the gifs of all people."